You can match sofa,wardrobe,side cabinet,top cabinet . A Murphy bed can match the sofa, side wardrobe, or bookcase, it can change your bedroom into the living room or study room. 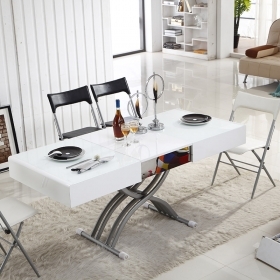 The folding dining table can fit in every room, also can as a coffee table. 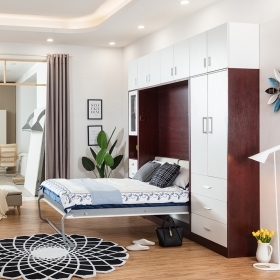 Choose a Murphy bed to maximize your space and have room for guests to stay over. Customize a Murphy bed for your bedroom, have a modern desing in your room. Custom Murphy bed plans can fit any room, change a design style for your home. 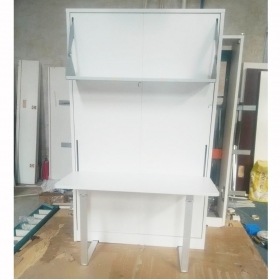 Space saving furniture is the best choose suitable for the small room. Find a space saving Murphy bed for your bedroom, guest room, then match the side wardrobe, it will get a large space. 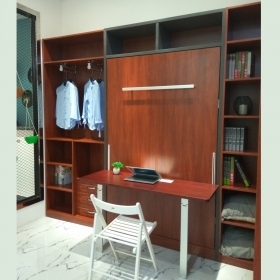 This Vertical Murphy bed is available for any room and any wall. 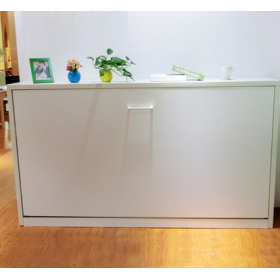 Murphy wall bed is easy to fold up and down, save spave, it also can be customized. Folding wall bed with desk is easy to fold up and down, it also can be customized.